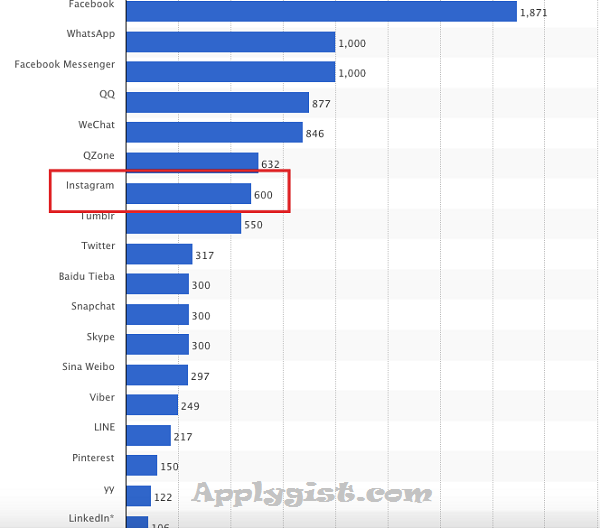 Just look at how it ranks among the world’s most famous social network sites as of January 2017. And just look at how much interest has grown in Instagram over the past six years. And I highly doubt that it will be slowing down anytime soon. It’s just so easy and accessible, and the vast majority of the images are super high quality. But as with any major social platform, a marketer’s first instinct is to find ways to make money from it. Most run-of-the-mill articles you read about making money on Instagram will tell you something obvious: Run ads! Announce products! Cultivate a following. Stock photo sites are huge these days. Rather than brands paying big money for photos from professionals or settling for those mediocre (and often cheesy) stock photo sites, Foap is becoming a popular alternative. Here’s a quick overview of the signup process. Click “Sign Up” from the Foap homepage. Then you’re good to go, and you can start selling your Instagram photos. Here’s the thing about Foap. You definitely need to have some solid “photography chops” to really make any money. You can’t slap up some completely amateurish content and expect to make a killing. So I really recommend that you develop your photography skills before attempting to sell anything on Foap. This is where you can connect with some of the world’s biggest brands and attempt to sell them your photos. In this case, you would earn $100 if your photo was chosen. The thing I like about Foap is that you don’t need to have a huge Instagram following to make money. In fact, it’s one of the few techniques that’s totally plausible even if you have only a minimal following. On top of that, Foap can serve as a nice passive income stream. And while you’re probably not going to get rich, there have been several Foap users who have made several thousand dollars a year. Let me preface this by saying that this isn’t a viable strategy unless you have a significant following. If you’ve only got say, 350 followers, this is a no go. However, if you’ve got at least 5,000 followers, this is definitely a strategy worth considering. A couple of years back, Star Wars: The Force Awakens was released. More specifically, they asked musician, Rudy Mancuso to create his own version of the Star Wars theme song. Here he is with his dog that looks a lot like Chewbacca. As you can see, this post received over 66,000 likes! Now Rudy is not some big name celebrity the likes of Kanye or Taylor Swift, but he’s got a huge following. He was able to capitalize on that to receive a nice payday. I’m not sure what the exact amount was but I would imagine that it was pretty good. This isn’t to say that you need to have millions of followers to make sponsored posts work for you. But you definitely need to have at least 5,000. Fortunately, this is by no means impossible to achieve. With a little patience, perseverance, and of course great content, it’s totally feasible. Also Read Finally! it is Here! Tecno Camon Cx & Cx Air!! There’s one more important thing I need to discuss — how to get in touch with brands that are looking to promote on Instagram. This is a third-party site that connects brands with influencers. What happens is that brands set up campaigns to promote their product/service and pre-select influential Instagram users. If you’re pre-selected, you choose the brands or products that you would like to promote on your account. You then have two days to post a picture of the brand in a positive way. Once it’s been validated, you get paid. Here are a couple of examples of successful campaigns that were run on IfluenzThis is a third-party site that connects brands with influencers. Here’s Nabilla Benattia subtly promoting Skinny Mint Teatox. Here is Monique Trips promoting the GoPro. To get started, click on “I am an influencer” from the Ifluenz homepage.